Appointment-based businesses with teams of 10 or fewer people with a need to simplify, grow and understand their businesses. $25 per user per month. Add additional users for the same price! Appointment scheduling made easy. 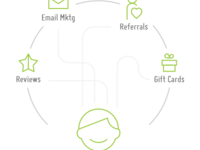 The only simple all-in-one business platform for appointment-based businesses with teams of 1 to 10. 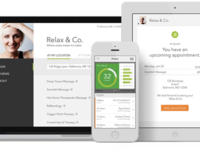 Easy online scheduling, automated appointment reminders, your own website, payment processing and a whole lot more. Small businesses using Artichoke only spend an average of 30 minutes on administrative tasks each week. 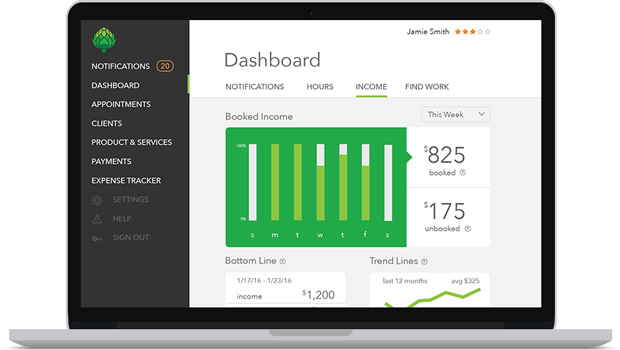 It's like hiring a personal assistant (without the added salary or sick leave). Turn havoc into small business bliss with Artichoke. Pros: I love that my clients can book online. It keeps track of my referrals, gift certificates, client history, and goals. Cons: It doesn't run very fast. Has a lot of glitches. Most of the time I have to write down when my client would like to rebook and finish after they've left so they don't have to wait forever. Also so I can move on to my next client. I wish I could set up a clean up time to the end of my services and customize those clean up times. Since I need more for a Stone Massage or body wrap than a quick 30 minute massage. I would also like to be able to pay for two clients on one ticket. My hope is that this software will get better with time. Overall: Keeping track of income, schedule, goals, and referrals. Pros: It's dependable and customer service is excellent. Any time I have had questions they were quick to respond. Cons: If a new client is booking the same time as another client-they believe it just went through because they don't realize if they actually got the appt they would get a confirmation email. Cons: Have been waiting for days for a response to a simple but critical function of adding a tip to a transaction. As a company that gets a break on each transaction I make, forcing me to make more transactions per customer (i.e. not offering a tip function on certain sales) is egregious. Overall: My professional liability insurance has a very good reputation and has always done well by me. 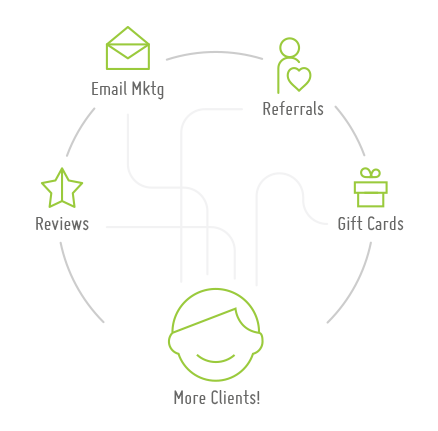 Getting a discounted rate and coming from a reputable referral seemed like a easy decision. With unclear functionality and clear gaps in basic payment functionality, this has become a wash. Virtually non-existent and, when present, ineffectual customer service has been the deal breaker. Overall: Helps everyday with my own business. Cuts out the middle man. Cons: Having to sign in every time from my phone is way too time consuming!! Need an app that truly functions as an app! Pros: Very easy to set up and use. Did not take a ton of time to do. Love the ability to upload clients into the system. Cons: I don't really see a ton of negative things with this software. I guess the only thing I would like the ability to see a report on the notifications. being sent out. Pros: My clients were really happy that I added this feature to my business. They liked being reminded as well as the fact that they can' cancel without having to bother me. Cons: The software doesn't really accommodate group classes. So if one person responds that they can't make it and cancel their appointment they cancel it for the whole group. 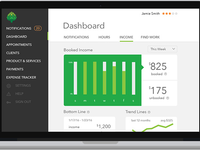 Overall: This is great for small business owners who work from several locations.